Want to get into the whitewater hall of fame? If so, you’re up against some stiff competition. The International Whitewater Hall of Fame (WWHOF) recently released the six inductees for the 2007 Class of Inductees into the Hall of Fame in four categories: Advocate, Champion, Explorer and Pioneer. 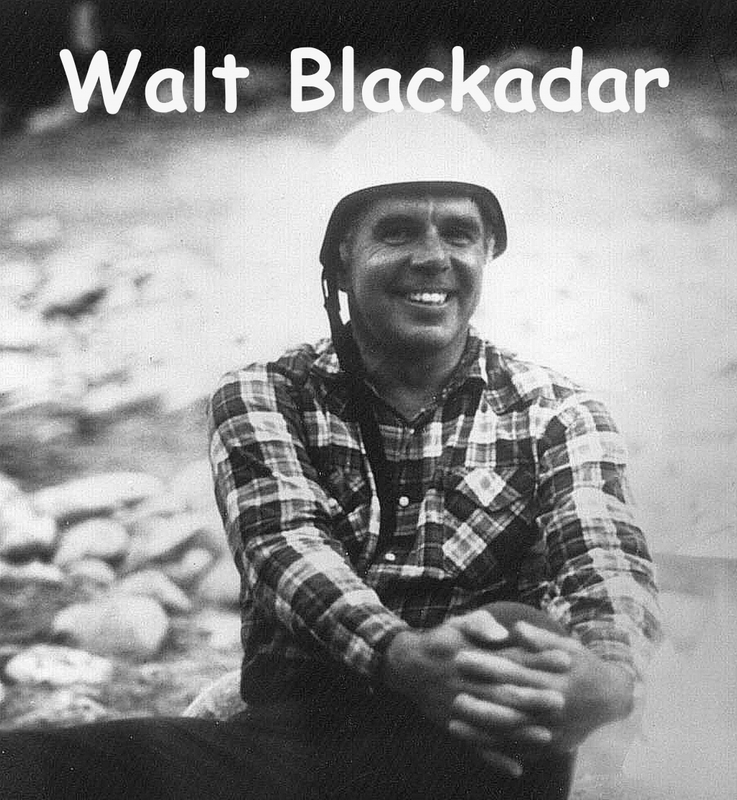 Walt Blackadar (deceased), of Stanley, Idaho is honored in the Explorer category not only for his first descents of Turnback Canyon on the Alsek (British Columbia) in 1971 and Devils Canyon on the Susitna (Alaska) in 1972, but for his impact on whitewater sport. His article in Sports Illustrated in 1972 chronicling his solo descent of Turnback Canyon propelled him to almost a cult hero overnight making him a legend. Seen by millions of viewers on ABC’s American Sportsman in the 1970’s, Walt became the face of kayaking epitomizing big water river running. Toni Prijon, Sr. of Rosenheim, Germany is honored in the Pioneer category for his life-long and on-going influence in the paddlesports industry. Toni’s touch as a designer has impacted more than 45 years of the world of whitewater as few others have. Although much of his focus through his company Prijon Kayaks has been on slalom and wildwater competition, his pioneering work in design has influence the sport broadly, popularizing plastic kayaks for every aspect of Paddlesports: creek boating, playboating, recreational whitewater, and sea kayaking. Bill Endicott of Bethesda, Maryland and William Nealy (deceased) of Hillsboro, North Carolina are honored in the Advocate category for their life-long contributions. Endicott, a coach and writer, influenced whitewater slalom in the U.S. and internationally for thirty years. Over his illustrious career, he coached athletes who won 57 medals in World Championship, World Cup, and Olympic competitions, 27 of them gold. Among these athletes include the C-1 athletes of the 1980’s who dominated world competition, including Champions Jon Lugbill and Davey Hearn, both inducted into IWHOF in 2005. His books have provided invaluable insight into the world of championship slalom competition. William Nealy (deceased) was an artist/illustrator and often heralded as “Whitewater’s Poet Laureate.” Nealy was one of the best known ambassadors of the sport. His art captured the essence of whitewater paddling and whitewater paddlers. William began drawing river maps of the more popular rivers in the southeast U.S using his now hallmark cartoonist style. He is perhaps best known internationally for his groundbreaking book, Kayak: A manual of Technique (translated into five languages). It combined expert paddling instruction along with artful caricatures and parodies of the whitewater enthusiasts themselves. Richard Fox and Cathy Hearn, of Penrith, Australia and Charlotte, North Carolina, are honored in the Champion category. Fox is the most decorated slalom kayaker in the history of the sport having won ten World Championship gold medals, including five individual titles. He was the innovator of smooth slalom techniques emulated by many, and was the first to use a double torque kayak paddle at the ’89 World Championships. After retiring from competition, Richard moved from Great Britain to Australia to be the Head Coach for the Australian ‘00 Olympic team and played an active role in the ICF campaign to include slalom in the ’00 Olympics. He is currently responsible for the Australian Slalom and Flatwater programs building toward the ’08 Olympics. Hearn began her two-decade-long winning career in international competition with an unprecedented three gold medals (’79 World Championship) in slalom, slalom team, and wildwater team events. She has always been extremely competitive in all types of whitewater including C-1 (her first whitewater boating experience) and C-2, and in wildwater in addition to slalom. Cathy has shared her knowledge during most of her career providing affordable and volunteer coaching nationally and internationally. She is the current U.S. National Coach, primarily working with the C-1 and C-2 national team athletes. This announcement concludes a nomination process that began in February and elections by an electorate consisting of more than fifty nationally and internationally-recognized whitewater paddlers of the whitewater community. Formal induction of the newest class into the Hall of Fame will take place next year along with the 2008 Class of Inductees. The debut presentations of the 2007 Inductee DVD will take place at the 5th Annual Whitewater Symposium (October 19-22) at ASCI in McHenry, Maryland. A screening will be held October 26th at the annual Guest Appreciation Festival at the Nantahala Outdoor Center in Bryson City, NC. Additional screening venue opportunities are being explored in an effort to share the accomplishments of these greats with both the paddling community and larger public.